The French network M6 has dedicated a TV report to Riccardo Giraudi, its exclusive meats & the famous Jamon de Buey de Kobe. 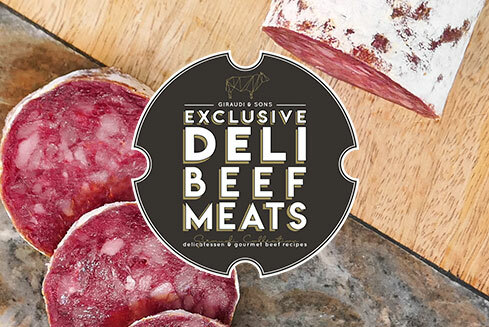 After months of research, Giraudi is proud to present its new Creative brand: Exclusive Deli Beef Meats. Traditional and flavorful charcuterie made with the best cuts of Creekstone Farms, Rangers Valley, Snake River Farms and even Kobe beef. WX by Rangers Valley is Wagyu beef cross bred with the very best breeds to create something new & unique. The cattle develops naturally and is fed slowly to maximize marbling, consistency, flavor and melt-in-the-mouth tenderness. Giraudi has recently launched his new brand Carni d'Eccellenza. This range is a selection of the best meats of the world for retail. Already available at Carrefour Italy, more stores in Europe coming soon. The famous Jamon de Buey de Kobe created by Riccardo Giraudi has just won a Wallpaper Design Awards 2018. Our gourmet product has been elected “Best Working Lunch”. 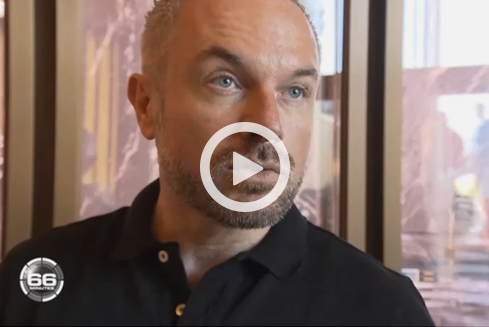 Erminio & Riccardo Giraudi have been interviewed by Monaco Info at Beefbar in Monaco to talk about the success of their company. Come & meet us at TUTTOFOOD in Milan, Italy from May 8th to 11th 2017. We will present our exclusive brands Gourmet Boutique Burgers & Kobe Kreations as well as our exceptional & international meats. "The American chef Matthew Peters and his team won the Bocuse d'Or in Las Vegas in December 2016. One of the dish they prepared was made with Snake River Farms meat, one of Giraudi's Exclusive Meats. This team will represent the United States at the Bocuse d'Or in Lyon in 2017. " Le consommateur est prêt, « il s' intéresse plus à ce qu' il mange, il comprend que le persillage donne le goût, il en mange moins mais mieux», juge Riccardo Giraudi. [...]"
On our stand 2.2E120 we will present our exclusive brands Gourmet Boutique Burgers & Kobe Kreations as well as our exceptional & international meats. We are really pleased to welcome you once again at SIAL Paris from October 16th to 20th. Among the 7000 exhibitors, come & find us on our stands to discover our activities, our products & our innovations. In exclusivity, we will present our new range of Kobe Kreations products but also Gourmet Burger Kit, recently selected for SIAL Innovation.